There are areas which define your construction costs very strongly, and by mitigating these areas, you can save money on your building of your real estate project. One of the things that your architect assists you to accomplish is to find that middle ground where you can achieve best value for your money such that you achieve your building objectives in the most sensible and cost friendly manner. What sort of real estate project are you developing on your site? Your building type is a major determinant on the cost of your construction. Obviously a building’s function determines to a large extent what type of finishes and fixtures that will be employed, including determining design of facades. A good example of how function influences a building’s construction can be seen in the way office design incorporates elements such as quality wall coating, aluminium composite panel claddings and curtain walling on facades. Such finishes cost a higher premium than those that you would find and employ within residential projects. In today’s contemporary architecture, you may witness builders incorporating elements that were traditionally part of commercial buildings are now part of residential buildings. Instances where houses are being built having wide openings that were characteristic of commercial storefronts or with interior open plan arrangements which were previously more common in offices are on the increase. These building elements when used on your construction may modify your square meter building costs by making the unit area cost of your building that much more expensive. Depending on what it is you as a real estate developer in Kenya are building, one construction system may more favorable than another. Construction of a modular spaced building such as an office block or a shopping mall may favor use of framed structure more than a conventional load bearing wall system. A house may be more advantageous to construct with a wall bearing system intermixed with some reinforced concrete elements where one may want to avoid walls. Your structural concept plays a major role in influencing the cost of your building, with 60 – 75% of your building cost going into a building’s structure. In these days of spiralling steel costs, the proportion of cost of especially reinforced concrete or structural steel elements play a huge part in the cost of your building. The smarter you use these features on your building, the more cost effective your building may become. Choosing finishes and fittings for your building do have a major impact on the costs of building your structure, and your preferences play a major role in defining these costs. In addition green fittings which are adopted for a sustainable lifestyle and offer better value for money over the course of the building’s lifespan. sometimes these items may be more expensive at the onset, but they do offer great savings over the course of the building’s lifespan. Construction elements such as sanitary fittings and electronics needs to be carefully considered in the application within your building. depending on the type and source, they are pricing often vary. For example, for most home fittings at premium level, a developer would find these items being shipped in from the European market, while you might find cheaper alternatives from the middle or the far east. The onus is upon an individual to gauge what to put more emphasis on, whether price or durability. Consider how complex your building systems needs to be within your building. Are the systems overkill for the spaces your are providing, or are they under-provided for what a client is interested in? Case in point, having access control to doors can be implemented through the use of an electronic lock, use of key cards, or via a biometric reader to perform the same function of controlling access albeit in different manner and cost. Gauge your needs, then make provision for your services in a manner that is in tandem to your needs as well as your budget. Consideration ought to be made for sufficient provisions to be made such that the space can be functional. Your building cost is never complete without considering the proportion of external works that will be used in a building site. the proportion of external works to your buildings cost is sufficient enough to make a difference on your bottom line when properly considered. Disregarding costs that go into external works means that your building is incomplete. External works do include items such as landscaping, storm drainage, construction of sewer systems as well as outbuildings such as guardhouses. A major item in this regard is construction of a boundary wall. Depending on how you choose to define your boundary, either through the use of green hedges or through the use of a solid boundary wall, quite a few costs may be incurred. Other items with regard to these include services such as power and water utilities, driveways and parking all of which impact the cost of development of real estate. 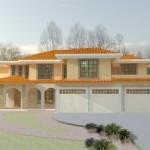 Building your building economically is possible if you properly consider these building factors. If you need assistance, a consultant who will take you by the hand and guide you through the process, you can get in touch with us and we shall assist you do the work. Have you done your real estate project yet? What cost factors did you consider the most important?